Discussion in 'Current Events' started by US Conservative, Aug 12, 2018. Trump shook hands and signed autographs for the group of supporters as reporters shouted questions. “Does everybody like the press?” Trump asked. “Do you think the media is fair?” he asked again. “I better not go any further,” Trump said. “Throw them out!” shouted one biker. “Go outside!” shouted another. The group of bikers gathered outside to recite the national anthem, as one of the leaders asked everyone to stand. “Even the press,” he said. Trump has spent decades connecting with Americans, and its showing. Liberty Monkey, Louisiana75, Libby and 6 others like this. Grokmaster, guavaball and Zorro like this. Did he remember the words this time? Sallyally, AKS and Bowerbird like this. Whatever answer trolls the press more. Grokmaster and US Conservative like this. Is this really all you want from a president? Photo opportunities and Reality TV personality behaviour? Capt Nice, ImNotOliver, Sallyally and 2 others like this. And that's all that matters, trolling the opposition. You know you won't be in political power forever, right? You know that the people you are trolling are not likely to forget how are treating them, and are likely to treat you similarly, or even worse, when they get back into power, right? Seriously. I don't think escalating things is going to be good for anyone in the end. Ummmmmmmm . . . it worked for Obama; and leftists cheered; especially when good ol' Barack was either badmouthing this nation or race-agitating. 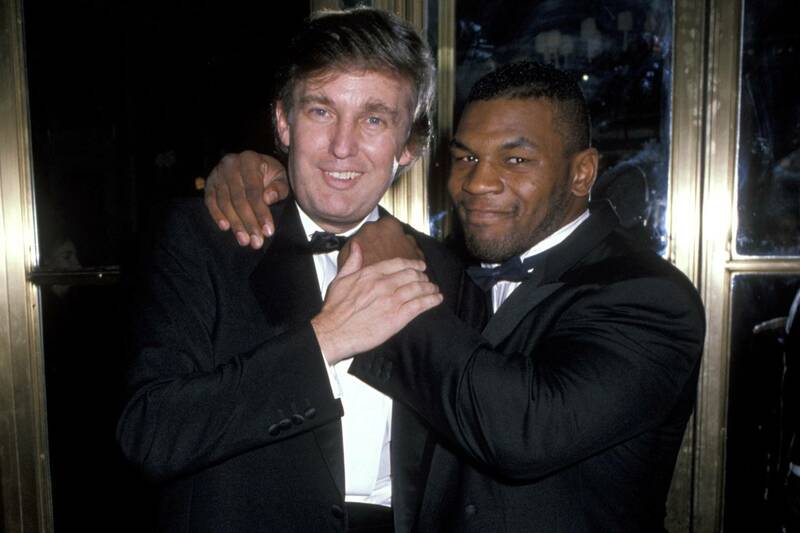 Leftists thought that was cooooooooooooooooooooooool. AmericanNationalist, Talon, Russ103 and 6 others like this. They already treat me worse. The difference is we fight back now. Russ103 and roorooroo like this. No its not all I want, and he's delivering there as well. RichT2705, AmericanNationalist, Merwen and 1 other person like this. Its not all that matters, its more like the icing on the cake. Its an extra on top of the real work being done. Face it, Trump is connecting with real America and the left is terrified of it because these people actually vote. Since illegals never vote (according to the liberals) one has to wonder why they are spending so much time placating them at the expense of real Americans. And you expect a blue wave? RichT2705, Louisiana75, Russ103 and 1 other person like this. Perhaps a few have figured it out, but they will keep quiet until the day after the elections, at which point they will say they "knew" it was coming. I keep telling myself to save their posts so I can bring it up after they are wrong but I never do. You can even see it starting to happen now with some liberals here. A few months ago they were screaming from the rooftops about how the democrats were going to sweep the midterms because of Trump and now they are slowly backing off of that and preparing their comments so that if it doesn't happen they can have cover for themselves. One well known liberal poster here said the other day that, well the republicans might end up holding both houses but only because Trump is focusing on whites and how they are threatened by illegals and blacks so he is scaring them into voting. Merwen and US Conservative like this. And then we fight back, only worse. And then you do, and so on. And eventually, blood runs in the streets like a river. Are you okay with that? Feeling confident? Apparently any answer would be considered trolling the press and masterful. 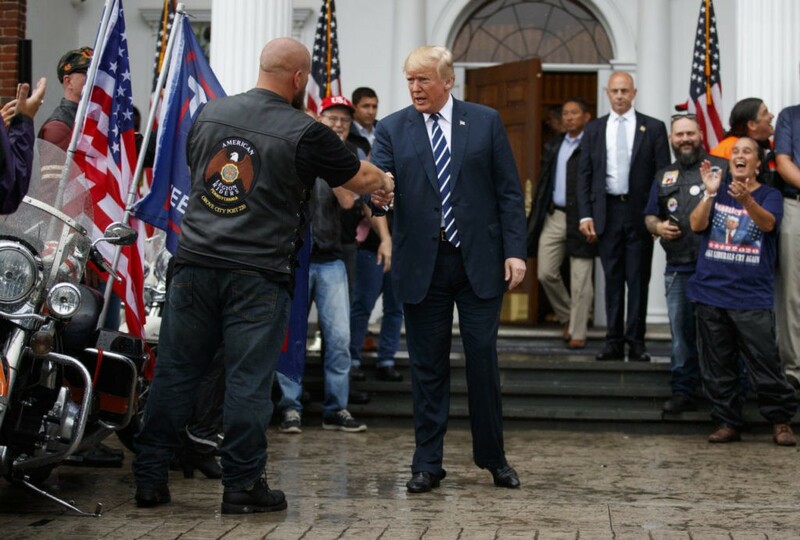 Oh well, nice pics of the "hundreds" (cough) dozens (cough) bikers. Maybe not right away, but eventually Democrats will get back in power. That's how politics works, it's cylindrical. So the question becomes what will happen to conservatives when that happens. I really hope that cooler heads prevail. Of course, if Liberals really are the monsters you think they are (They are not), then it would really be a good idea to put them down now, while you can, before they do the same to you. But hey, don't plan for the long term or anything. Just live it up now while you can. The other side will NEVER get back into power, right? Why do you think Bush built those FEMA camps? He realized with the threat that the left poses that our nation may have to do something to protect itself. As for getting back in power, of course they will, I've always said this. No party has held the WH for more than three terms since the 22nd amendment was passed and they never will. FDR was an exception because of the war and the economy and basically that people felt sorry for a cripple (hint to future candidates). So I imagine Trump will win a second term then the democrats will end their civil war and finally put someone reasonable up as a candidate and they will win it back. Right now though they are doubling down on dumb. Yup, I've noticed it myself. They will spin things in their minds to a pre-determined outcome. At no point are the failures of the Democrat party even a possibility. In your own, round a bout way, you are saying "do as we like or there will be blood". Im just not cool with that. Lefties can scream at the sky all they want, its not going to help. SiNNiK, Thought Criminal and Merwen like this. Go ahead, we believe in the second amendment your side doesn't. Bet you wish you could buy some of those AR-15s you guys banned huh? TrackerSam and US Conservative like this. 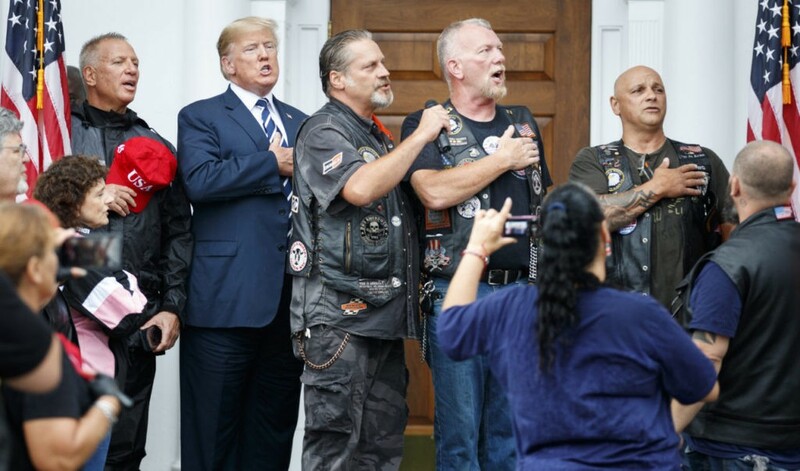 A dictator spreading hate as he welcomes his blind, redneck flock on Harley’s. Trump can attack Fox any day now. Comments like these aren't unique to yourself, but they are harmful for the democrat party big picture. Said another way-what you decided was an appropriate response is exactly why your party is in shambles. You're in the wrong country if you're going to peddle this facist trash. You mean the imaginary FEMA concentration camps that right wing reactionaries were all yelling about? How dumb can you folks get??????? Trump's proving he knows how to connect with the American people. The left had no issue with this until Trump ran as a Republican.